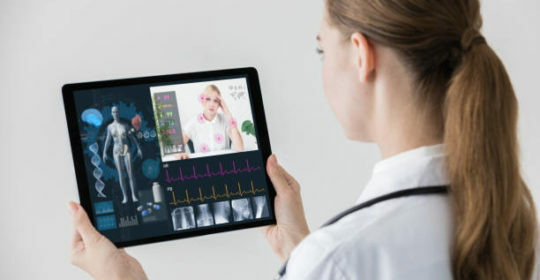 According to the American Telemedicine Association, Telehealth incorporates a range of services including health monitoring, patient consultation, and transmission of medical records. Telehealth consists of any electronic exchange of health information. A growing number of healthcare organizations across the United States have integrated telehealth due to the benefits it provides. It has not only expanded access to healthcare services, but has also amplified patient engagement enabling more efficient care methods. The Department of Veterans Affairs (VA) is one of the largest benefactors of telehealth services. Last year, more than 700,000 veterans accessed VA telehealth services, which included everything from mental healthcare to surgical specialist consultations. However, it’s not just veterans who are benefiting. One of the biggest assets of Telehealth services is easy access to on-demand care. During a consultation, a physician will inquire about symptoms, discuss treatment, then determine if a prescription is required. It also benefits those who don’t have a reliable means of transportation or who struggle with mobility challenges. This is especially true for those living with chronic conditions that need more frequent checkup. Telehealth services are also helping to fill healthcare gaps met by rural areas across the United States. In-office visits and overnight stays at healthcare facilities can be difficult for individuals in poor health or with low-income. Telehealth services reduce hospital readmission rates by allowing doctors to screen patients outside the office. Now, many hospitals are starting to include some form of remote monitoring as part of their post-discharge plans. By arming patients with wearable wireless devices, clinicians can monitor vital signs and symptoms as well as adjust care as needed right over any electronic device. In August 2017, due to high 30-day readmission rates, hospitals across the country were berated with Medicare reimbursement cuts. The potential to decrease these rates and dodge penalties has made Telehealth a financial priority. With many communities’ facing a deficiency of specialists, Telehealth allows physicians to reach more patients; making the cost consultations lower than an in-office visit. By serving more patients in a shorter amount of time, healthcare facilities can proficiently grow their memberships while increasing care and patient satisfaction.